Coimbature, India. The childhood home of Swami Satchidananda gets a facelift. The old clay roof tiles from 1864 have been meticulously removed and washed, awaiting a new roof to sit upon. 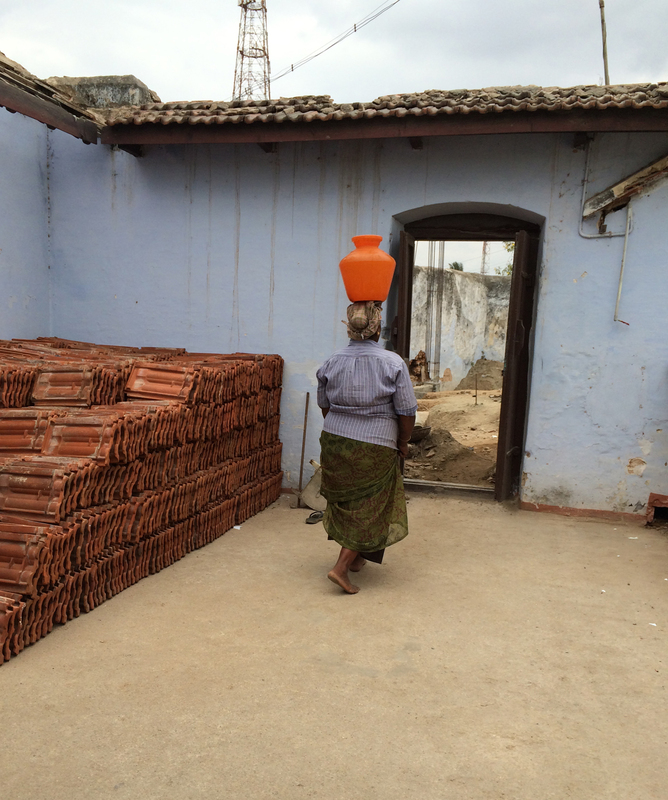 A woman carries water to the room next door to continue the process. Thank you Michele. It’s such a beautiful, gracious place – made so by the lovely people who live there. You’ve opened my eyes. Thank you again. I have been to about 16 cities and villages in India, just a few days or sometimes hours in each, and I fell in LOVE with Coimbature. I met the most gracious people and felt so at home. I can’t wait to go back. Thanks for your comments.